Inspired by the 18th century baroque painting, we present our complete collection of Mary, Untier of Knots. The painting still stands today in the Church of St. Peter am Perlach in Augsburg, Bavaria, Germany. Pope Francis shares this devotion as many ask for her intercession to reduce the knots of pain, stress or sadness encountered daily. 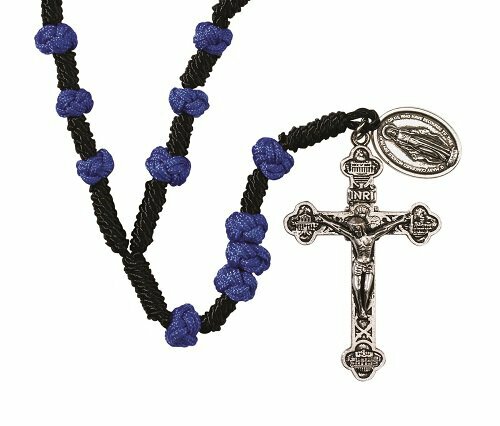 This rosary is crafted using knot shaped beads, a Miraculous dangle, and is finished with a traditional crucifix.